Here at Skalp® we believe the best way to show you how effective and realistic our Scalp Micropigmentation results are, is through our many client’s individual stories of hair loss. 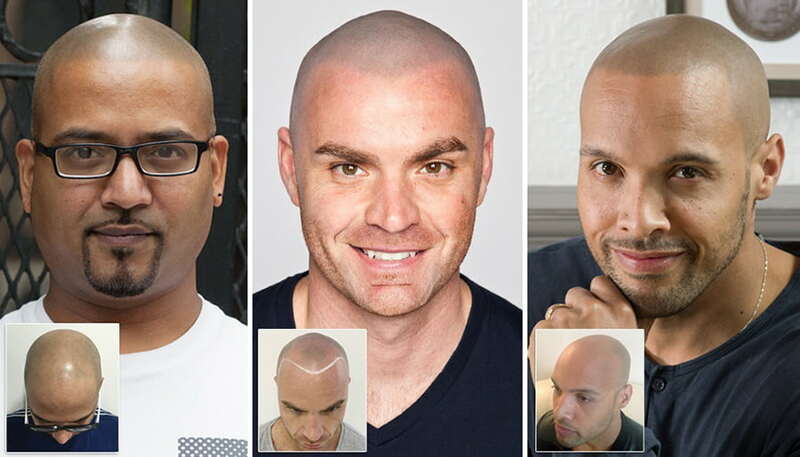 Our gallery of before and after images, video testimonials and online reviews, all demonstrate why we are the world’s number one Scalp Micropigmentation company. We understand you’ll want the most natural treatment results. 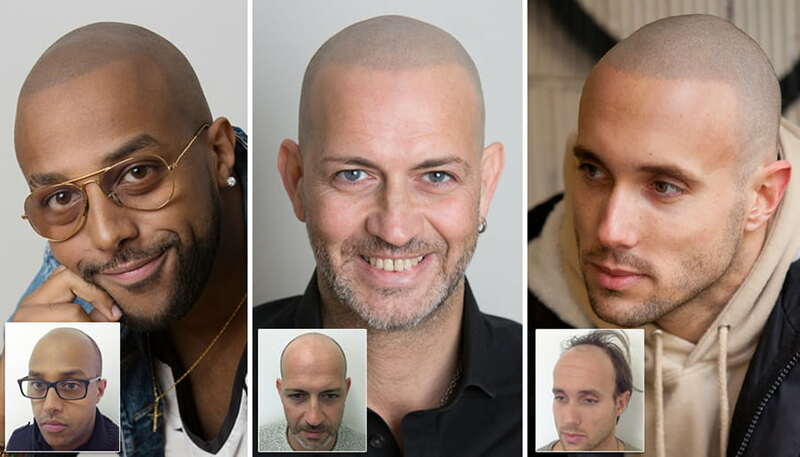 Our Scalp Micropigmentation hair tattoo gallery shows impressive before and after results from Skalp® clinics around the world including: London, Manchester, Edinburgh, New York and Naples. Check out our videos of real Skalp® clients to see how natural our results are and why a Scalp Micropigmentation hairline tattoo is the best hair loss treatment for men. Michael started to lose his hair at the end of his teens and finally decided to shave his head at 22. Being so young it was affecting his confidence, he felt people were judging him for being bald, he even went on the ITV show Take Me Out and the presenter of the show even made jokes about his baldness. He started to look for a hair loss cure and looked into hair transplants but he wasn’t convinced with the results and was worried about the scarring he would be left with. Finally, he found Skalp and hasn’t looked back, on his first date after having Scalp Micropigmentation his date even said to him “why don’t you grow your hair, you have a full head of hair”. Prem lost all of his hair 5 years ago, not wanting to get a hair transplant he thought there were no more options apart from just being bald and wearing hats all the time. When a friend told him about Scalp Micropigmentation he came to see us. He liked the shaved look even when he had hair so he thought this was the perfect option. His friends and family were amazed by the results. When Prem’s daughter first saw her dad with the treatment she said to him “Papa you have hair!”. See why Skalp have the best reputation in the industry. Our practitioners are the most experienced in the world and we won’t let you leave until you are 100% happy. Finished my treatment last month, the results turned out better than I could of hoped for, great service and customer care, Thank you so much, I highly recommend Skalp!!! There's not much to say other than this was simply life changing. This is the place to go if you want this procedure. Not one person has been able to detect that I had the treatment. Thank you again!!!!!!!! Im so happy ﻿with the results, and so is my wife! She came with me for a consultation and was sceptical but she freakin loves it! Take my advice and go for a consultation and i guarantee you will be so impressed!